You planted a bunch of beet seeds this year in your garden and want to know all the dirt on how to get them to your plate safely. You are just not quite certain if you know they are ready. Harvesting beets are incredibly simple following our expert advice. Maybe you just started growing beets and need a little guidance on the best methods of when to harvest beets. We will cover this and a few other topics about the most ideal beets harvesting methods. You can almost taste the sweet smell of pickled beets. Maybe you roast them for a flavorful beet & arugula salad. You are in luck if you want to learn some tested harvesting beets tips. Harvesting beets usually depend on whether you harvest the greens or the beetroot. You can begin to harvest the beets around 45-60 days. The beet greens can be harvested at around 30 days if you leave some of the greens on for further growth and maturation of the beets. 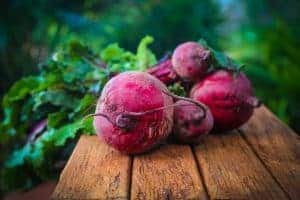 Beets or beetroots are simply just pulled out of the ground once you notice the size of the root sticking out of the dirt. You can store the beets in several different ways. They keep for up to 7-10 days if properly stored in your refrigerator. 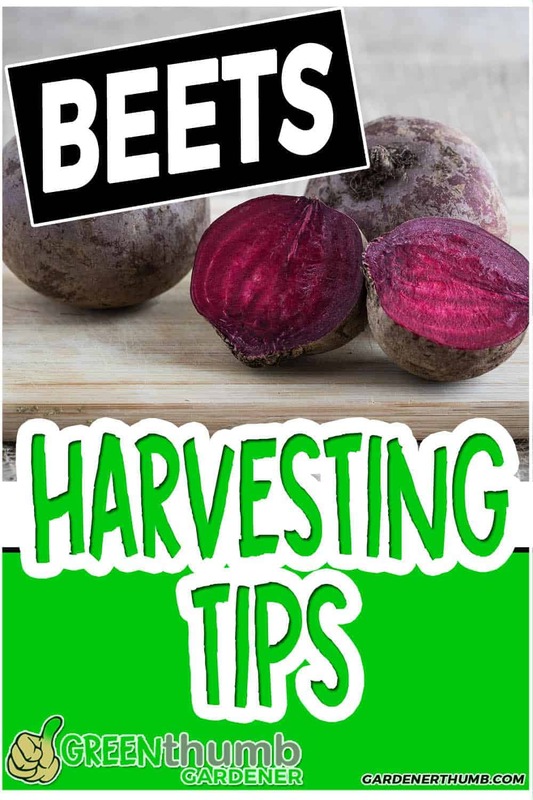 You will learn several valuable tips on the best practices of harvesting beets in this mini guide. Check out our mega guide about growing beets here if you want to learn more. You definitely want to make sure that you get the timing to harvest beets right. You don’t want to harvest beets too early if you are growing beets for the beetroot. First, decide if you are planting them for the greens, the root, or both. Typically, the time to harvest beets is between 45-70 days from germination or transplant. We prefer to harvest the beets for both the beetroot and the greens. We keep things simple around here, so we just make sure that the beetroot is the perfect size for us. We don’t pick the beet greens prior to harvesting the entire beetroot. I hear that the beet greens make an excellent green for juicing though. Let me know in the comments below what you think about juicing beet greens. Harvesting beets also rely on the time of year that you planted them. You will find that the late summer/early fall beet crops tend to initially grow much faster than the spring crops. The beets take much less time to reach full maturity when the soil temperatures are warmer even though the beets prefer the cooler weather. Now, beets seem to taste much better when they are grown in cooler soil. The sugar content of most root vegetables like carrots & beets seem to develop into that satisfying flavor that most expect. Taste and flavor are subjective, but you get the idea. We find that beets that were planted in the late spring to summer with warmer soil temperatures tend to taste differently. The flavor is definitely less sweet even if you catch the beets before they start to flower. Knowing when to harvest the beets as the temperatures increase is key. The beets grown in late spring & early summer should be harvested when the beetroot is much smaller to minimize its bolting. Good thing is that smaller beetroots are much tender than the larger beets. Who knew there were so many options for harvesting beets? You know the carrots greens don’t taste good. Props to Mother Nature for providing a few ways to use beets for our nutritional needs. Now you know when to harvest your beets. The next step is actually learning the proper way to harvest beets. Keep in mind that you should have calculated the best times to harvest beets by recording the date you planted or transplanted and then adding on 35 to 60 days after that. We will focus on harvesting for the beetroot, but of course, you can use the greens once you harvest the beets too. We have some tips specific to just harvesting the greens in the next section. Figuring out the range of maturation dates will help you dial in on the right time to start looking at your beets. This will give you the rough dates to start checking your beets to see if they are fully matured or ready to pick. What you are looking for is the root. It is that part of the beet that should be popping out of the ground. It is the very top of the beetroot where the greens stems are attached to. You will start to notice this part sticking out of the soil at around day 30 or so depending on the variety of beet and growing conditions. Judge the circumference of the beet by examing the size of the top of the beet. Seeing this top is when we start to check it. Maybe wait another week if you feel the size is not as big as you want it. Just keep in mind, your beets can bolt if you wait too long as the temperatures increase. You necessarily need huge beets; they are more tender when they are smaller. Grab the beets stems at the point where it meets the beetroot and start gently pulling them up. The smaller beets seem to come up better when you just pull them. The larger beets are harvested more easily when you use a spade shovel since the roots are deeper. You may want to use a small shovel if you want to harvest your beet crop periodically as you need them. This will help minimize root damage fo the other beet plants that are in the same area. You may not even like the beetroot, but hear that the greens are packed with powerful nutrients. You may just want to pick a few greens as the beetroot is fully maturing. This section is for you so you know the ideal way about how to harvest beet greens. We are still working in the time frame of roughly 30- 45 days of maturation of the beets. This window is when you can start to harvest the beet greens. You will begin to notice that the beet stems will form from the middle of the root. Further stems will start to grow inside of the first stems, so the initial stems become the outer leaves. This is pretty standard with most plant leaf growth. You can begin to harvest the outer beet leaves when they have reached a fairly good size (usually 30 days after planting). You still want to keep the innermost leaves intact if you plan to continual harvest them or harvest the beetroot itself. Try not to get too greedy with harvesting the beet leaves as this will slow or inhibit the overall growth of the plant. This is especially important when the beets are fairly young. You should not have any beet problems by carefully selecting a few leaves each week. Continual beet green harvesting– Use scissors to carefully clip the beet leaves from the stem. Simply cut the very bottom where the stem meets the beetroot. After beetroot harvest – You can have your cake and eat it too with this method. Just cut the beet greens off after you pull up the beetroot. Get them in your juicer or smoothie fast. There are several options that you can use to store your beet harvest. Both the greens and the actual beetroot can be kept in your refrigerator. The beet greens are best kept by wrapping them in paper towels and placing in a plastic bag. Typically they will be last about 7-10 days following this method. You can also store beet for up to 6 months. You want to layer undamaged roots in either sand, peat moss, or sawdust in a cool, dark place, preferably in your cellar or basement. It is tough to pick my favorite part of growing beets. I would have to say that harvesting the beets is probably the best because I have grown to love eating them. Just keep things simple when you are harvesting your beets and follow the guidelines you learned here. Harvesting beets for usage in your cooking are really the ultimate goal. You may find that smaller beets are the best tasting ones. You could also enjoy the really larger beets because you prefer to roast them. The most important goal is to just get out in your garden and get your hands dirty. Experiment with the different beet harvesting tips we have provided to see what works for you. Feel free to comment below and let me know if you have any further tips to share. 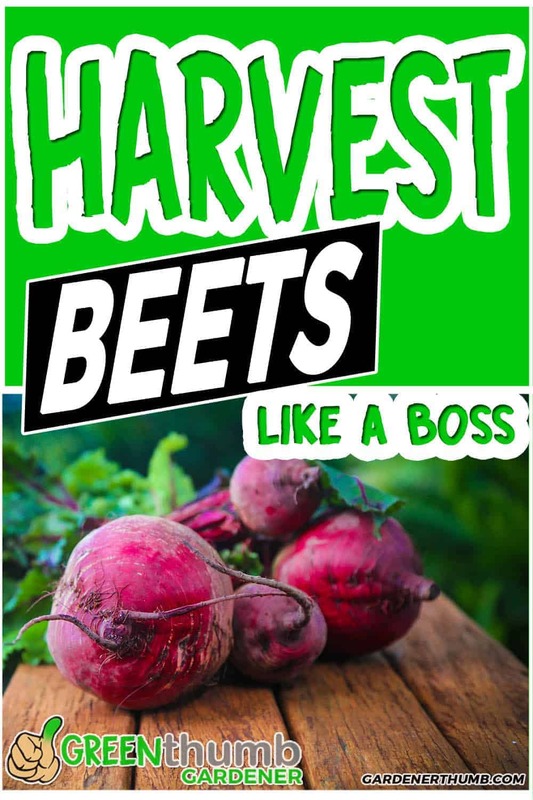 Check out our mega guide about growing beets here if you want to learn more. How to tell when beets are ripe? – Beets are mature in 45-60 days. The beet bulb or beetroot top will be sticking out of the soil to give you an idea of the size of it. Test the quality of ripeness by pulling one of your beets. How long can beets stay in the ground? – Beets generally reach full maturation at about 60-70 days. Beets will continue to grow but may bolt to the flowering stage once past the maturation period. The beetroot and beet greens taste will drastically change at the bolting stage. Can you leave beets in the ground over winter? – Yes, provided that you cover the crop with appropriate insulation such as leaves or a row cover. 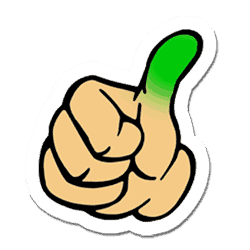 Check out this post here for more information about growing vegetables over the winter.